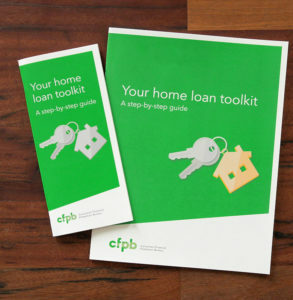 “Your Home Loan Toolkit: A Step-By-Step Guide” explains all the different charges that make up your monthly loan payment, and can help you calculate how much you can afford to pay for a home. It also goes over loan topics like credit, mortgage type and features, down payment, and rate locks. The different types of disclosure paperwork that we provide during the loan process are explained in the toolkit as well. Overall, the Home Loan Toolkit is a valuable reference for anyone looking for a home loan!